Please do take note that we are a Bed and Breakfast and not a hotel. We do not have a restaurant for evening meals. However, on days that the Castle is open to the public, there are cafes providing hot food and a selection of salads, sandwiches and snacks during the day. We will send you a list of locally recommended places to eat for evening meal options when you book. 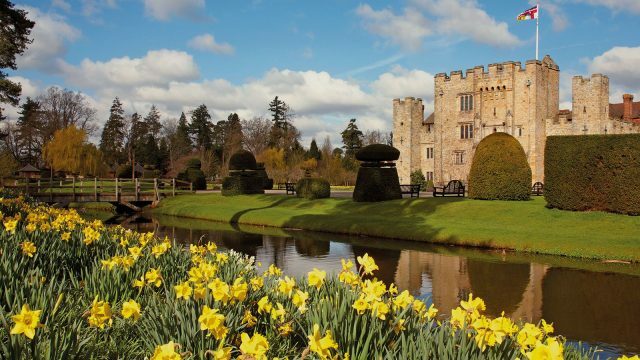 The cancellation policy at Hever Castle is 72 hours. Full charges will be applied to all bookings cancelled within 72 hours of the date of arrival to the card details used to make the booking. Please clarify the differences between the two wings i.e. the Astor Wing bedrooms and the Anne Boleyn Wing bedrooms. Both wings are accessed via the private gated entrance leading to a private car park and reception. Both wings were created in Tudor style in William Waldorf Astor in 1903. The Astor Wing is available to book for private events and weddings. On such event days we cannot offer the Astor Wing bedrooms on a Bed and Breakfast basis. The Astor Wing offers a lounge and a Billiards Room. The Anne Boleyn Wing enjoys a charming Breakfast Room with views over the orchard. On days where we do not have private events in the Astor Wing, Anne Boleyn Wing guests will have access to the Astor Wing lounge and Billiards Room on dates when the Astor Wing has Bed and Breakfast guests in residence. As the Anne Boleyn Wing bedrooms have recently been refurbished, they offer air conditioning. The Astor Wing bedrooms do not offer air conditioning. On dates when both wings are open for Bed and Breakfast, the location of breakfast is dependent on total number of guests in house. All guests may take breakfast together in the Tudor Suite Dining Room; however, on days when numbers do not allow for this Anne Boleyn Wing guests will take breakfast in the Anne Boleyn Breakfast Room (with stunning views across the orchard to the castle). What do you mean by a ‘lead in time’? Astor Wing bedrooms are available on an eight week lead in time. Anne Boleyn Wing bedrooms are available on a six month lead in time. Lead in time refers to how far in advance you can book a room. I’ve checked availability online on Booking.com and whatever date I input it just says that no rooms are available, why is this? This is because of the lead in times for bookings. If you have been looking for availability on Booking.com or via the link sponsored by Booking.com on the Hever Castle website, then dates that we have not yet ‘opened for sale’ will show as ‘unavailable’. This does not necessarily mean that these dates will stay unavailable it is just that Booking.com are not able to use terminology such as ‘not yet on sale.’ If you are unsure, it is always best to phone the Bed and Breakfast Coordinator who will happily check dates for you on 01732 861733. Can I check dates beyond lead in times? Our events diary changes on a daily basis. A date that might be looking like it could become available for Bed and Breakfast might a couple of days later get booked for an event. Our Bed and Breakfast Coordinator is happy to give you an indication of how things are looking and will certainly be able to rule out any dates that already have a confirmed event in. We cannot, however, guarantee Bed and Breakfast dates beyond the relevant lead in time. What is the difference between a Superior Room, a Feature Room and a Deluxe Room? All the rooms at Hever Castle Luxury Bed and Breakfast have been individually styled, no two rooms are the same. All are beautiful, however, we have graded them as Superior, Feature and Deluxe with Superior being (in our opinion) perhaps slightly more special than Feature and Feature being perhaps slightly better than a Deluxe. Can I select a specific room? We endeavour to book guests into particular rooms when possible, however, we guarantee the room ‘type’ (i.e. whether Superior, Feature or Deluxe) not the specific room itself. The reason for this is we have to manage our diary to maximise capacity and it might be the case that we have to juggle things to fit guests who are staying more than one night so that we can keep them in the same room for the duration of their stay. More times than not we are able to accommodate specific rooms or requests, however, it cannot be guaranteed. Does Hever Castle B&B offer family rooms/adjoining/interconnecting rooms? Yes – there are some rooms that can accommodate a ‘camp bed’ (sometimes referred to as a ‘z bed’) which are suitable for children age 12 and under. There are also some rooms that can accommodate a cot. There are a couple of rooms that have a sofa bed, suitable for 1 older child or 2 smaller children. We do not have any interconnecting rooms. We do have 1 deluxe double room that also has a sofa bed in it that is next door to a single room. The landing outside the double and single room can be ‘locked off’ to provide you with a ‘suite of 2 rooms’ therefore in effect accommodating 2 x adults in the double with 2 small children on the sofa bed and another child (or adult) in the single room. Please refer to the below question for costs relating to children. The above costs cover the additional towels and linen supplied and these charges are non-negotiable. We do not allow you to provide your own camp beds, however, you may bring your own travel cot. Please note: not all rooms can accommodate camp beds and/or cots. Rooms that can are subject to availability and must notify us at the time of booking and not on arrival. We believe that our Bed and Breakfast tariff is very competitively priced taking into consideration the standard of the rooms and the inclusion of tickets for the Castle and grounds for the duration of your stay. On this basis we do not offer discounts either on a one night stay or longer stays. We offer ‘Play and Stay’ packages that incorporate a stay in our Bed and Breakfast with a round of golf at Hever Castle Golf Club, located 5 minutes from the Bed and Breakfast. Play and Stay rates are available from either our Bed and Breakfast Coordinator on 01732 861733 or can also be booked via the Golf Club on 01732 700771. We also now offer Luxury Packages to enhance your stay by adding some finishing touches. These include a bottle of bubbly and Kentish fudge and you can also purchase a handtied seasonal bouquet of flowers from our local florist. To speak to a member of the team or to place an order, please call 01732 861800. We do not allow pets in the Bed and Breakfast. Guide dogs for the blind, however, are of course welcome. To protect the privacy and peace of other bed and breakfast guests we do not allow for your visitors to join you in the Bed and Breakfast. If you wanted to meet family/friends within the Castle gardens they are welcome to enter as a Day Visitor. Alternatively, the King Henry VIII pub comes highly recommended, located opposite the main entrance to the Castle. As a guest of the Bed and Breakfast, is entrance to the Castle included? Yes it is. You can arrive at our Bed and Breakfast from midday on your date of arrival to collect your tickets to the Castle, however, check in is not guaranteed until 3pm. 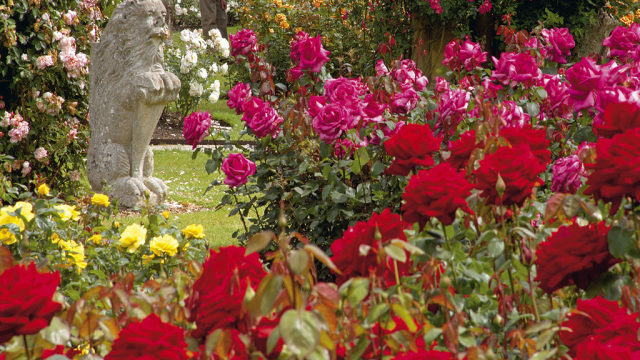 You are also welcome to stay and enjoy the Castle and grounds on the day that you check out. Please note we do ask that you move your car to the Day Visitor car park after you have checked out so as to free up our car park for new Bed and Breakfast arrivals. Can I access the gardens once they have closed to the public? Yes, access to certain parts of the gardens is available to Bed and Breakfast guests after the Castle and grounds have closed to the public. For security reasons, however, not all areas are kept open. I have seen on your website that you have a swimming pool and a tennis court, do I have access to these? You are welcome to use our tennis courts, please ask at reception for rackets and balls. The swimming pool is only available for our exclusive event clients and not Bed and Breakfast guests. Can I join a waiting list if a date I want to stay with you is fully booked? We do not hold waiting lists, if a room cancels it will be released back onto Booking.com for resale. Am I allowed to order a delivery / bring in a takeaway? We kindly ask that you do not order a delivery or bring in a take away. Can I get any beverages once I have checked in? There are tea and coffee making facilities in every room. Currently, we do not offer an evening bar facility, but this may change in the future. We do offer a selection of spirits, soft drinks & prosecco which can be pre-ordered in advance or selected from our bar menu on the day, a member of staff will be on reception until midnight to order. A varied wine list is also available, we pre-ordering wine to ensure you receive your preferred choice. The charge for this will be taken on your arrival. Is room service available for breakfast? No, room service is not available for breakfast. Check in is at 3:00pm, check out is at 10:30am. Late checkouts are not available as we have a limited time to service the rooms before our next guests arrive. Gift vouchers can be purchased from our Bed and Breakfast Coordinator on 01732 861733. They do not have to be for a specific date, they will be valid for one year after the date of purchase. If you are interested in booking eight bedrooms or more ahead of the lead times for the Bed and Breakfast, we can offer an ‘Exclusive Use’ private event in the Astor Wing. Under such circumstances, you can book any date, subject to availability. On such occasions, we do not sell the other bedrooms in the Astor Wing to Bed and Breakfast guests and as such the pricing structure is different from that of the Bed and Breakfast. There is the requirement for you to book dinner for a minimum of x 20 guests as part of a private exclusive use hire event and a facility fee is also charged. For further information on exclusive use hire events for eight rooms or more, please call our Events team on 01732 861800.